You Are What You Love ~ Is all about V’s boyfriend, Emanuel Swedenborg, the wisest man who ever lived!. 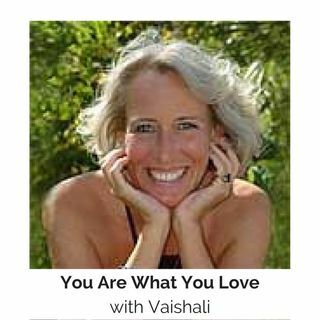 Vaishli is a spiritual teacher and life-management expert is joined by co-host Cameron Steele. Vaishli welcome Curtis Childs, founder of Of Off The Left Eye talks about all things Swedenborg. Curtis is a multi-media Swedenborg information disseminating artist. Curtis has a bunch of video’s on YouTube, www.youtube.com/user/offTheLeftEye. Or search for Off The Left Eye or Curtis Childs.Each video is an outstanding gem that explains the bigger picture ideas from Swedenborg’s writing, in an ... See More present day context, that brings alive the practical application of Swedenborg’s timeless wisdom to everyday life.